The CW's hit show Supergirl is making television history with the casting of Nicole Maines as the first transgender superhero. Maines is best known for the HBO documentary The Trans List and her book, Becoming Nicole. In a recent interview, Maines revealed that she wants comic book fans and TV viewers to come away with a better understanding of the trans community with her new role on Supergirl. Ultimately, Maines hopes that her new role will lead to the "right representation" in the entertainment industry for the trans community. Dreamer was initially announced this weekend, shortly after the Supergirl Season 4 Comic-Con trailer debuted. 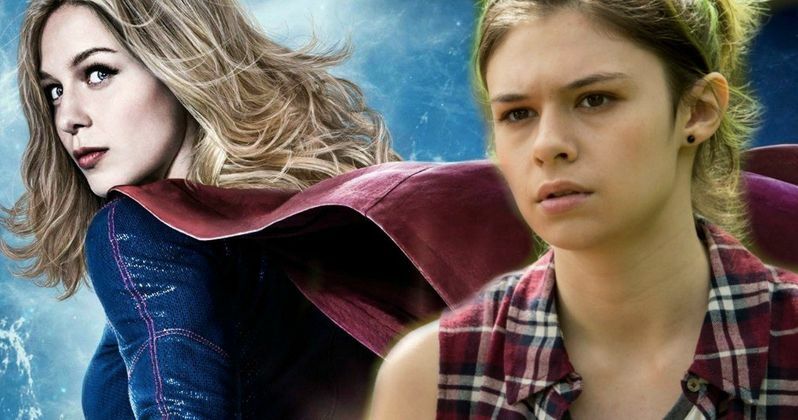 Nicole Maines will portray Nia Nal in Supergirl Season 4, who is the latest addition to the CatCo reporting team. The character is a soulful young transgender woman, who is said to have an intense drive to protect others. Nia's journey in the upcoming season will see her fulfilling her destiny as the superhero Dreamer, which will mirror Kara's journey to Supergirl as well. It's believed that Nicole Maines' Nia Nal will have the power of precognitive visions, if the show decides to take inspiration from the comics. In a new interview, Nicole Maines spoke about how excited and nervous she is for her new role in The CW's Supergirl. The actress admits that the news still hasn't really taken ahold of her yet, but believes that she has a great responsibility. In the end, Maines just wants to serve the character. She explains. "I haven't really wrapped my head around it. It feels fitting to say with great power, comes great responsibility. I'm nervous because I want to do it right." Nicole Maines also talked about the current state of trans roles in Hollywood today. The actress believes that there has been more representation of the trans community over the last few years, but she doesn't believe that it has been the "right" representation. Maines added that trans actors and actresses can play any part that they want to play, comparing her community to real-life superheroes. She had this to say. "We can be whoever we want, we can do whatever we want, we can be superheroes, because in many ways we are. We've had trans representation in television for a while but it hasn't been the right representation." Supergirl Season 4 will premiere in October of this year with some other new additions to the cast other than Nicole Maines as Dreamer. April Jones joins the cast as Colonel Haley and David Ajala will portray Manchester Black. It was previously announced before San Diego Comic-Con that Sam Witwer is joining the cast as Agent Liberty and Jesse Rath, who appeared in Season 3 as Braniac 5, has been upgraded to series regular. This is going to be a big year for Supergirl as well as Nicole Maines and the trans community as a whole. You can read more about her casting and her excitement for the role over at Variety.